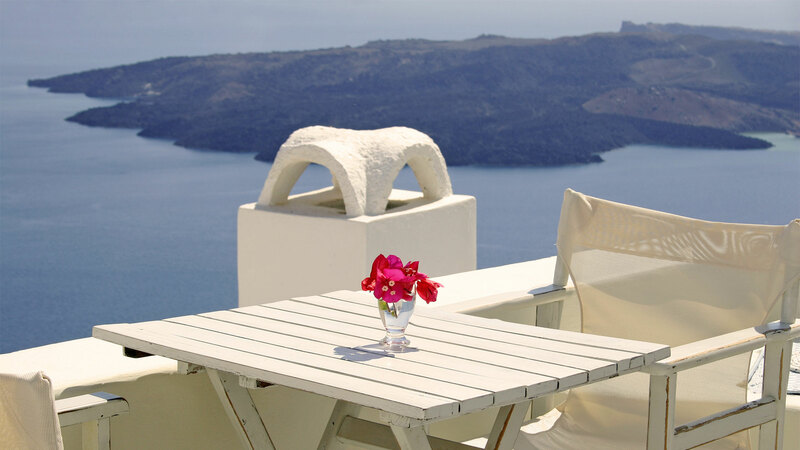 Enjoy a spectacular view to the Caldera, the Aegean sea and the village of Firostefani from your veranda! 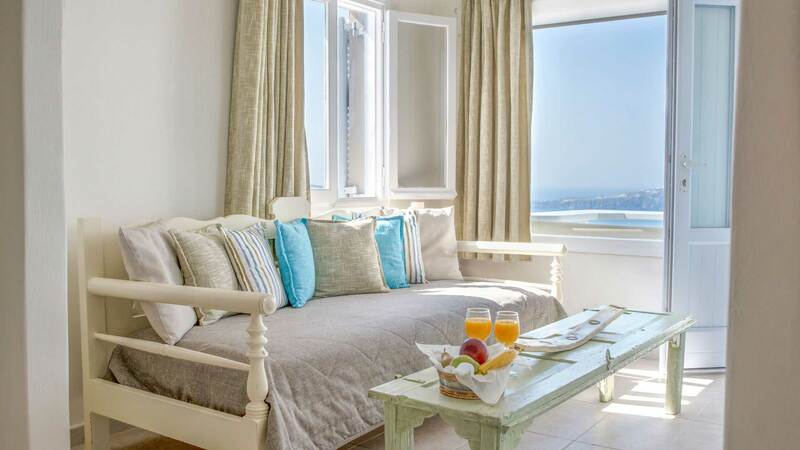 Standard Doubles include a bedroom with a double bed, a traditional Greek coffee table & chairs & a private bathroom with renovated shower place. 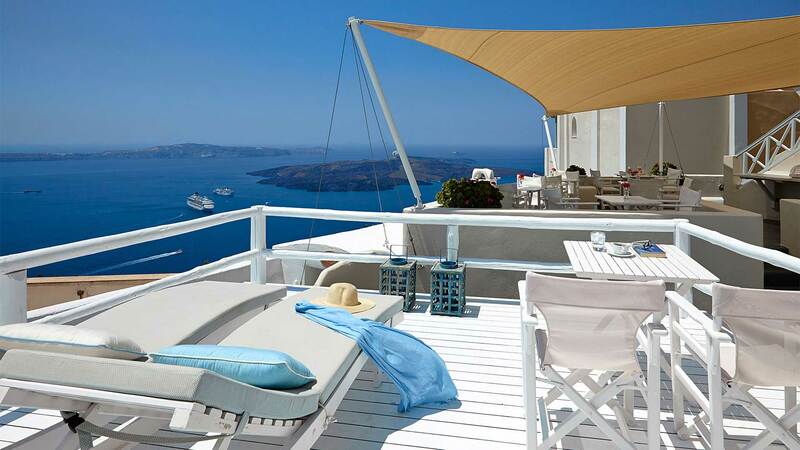 magical sunset villas in Santorini? Try this lovely rooms with private balcony and live precious moments with your one’s beloved. Tastefully refurbished suites include a bedroom with a double bed and a private bathroom. This is an authentic accommodation built within the rock, as traditional style of housing in Santorini recommends. Enjoy the new wooden deck balcony, with two sun beds and a table with chairs: amazing view on the volcano and the Caldera. It is ideal for Honeymoon couples. 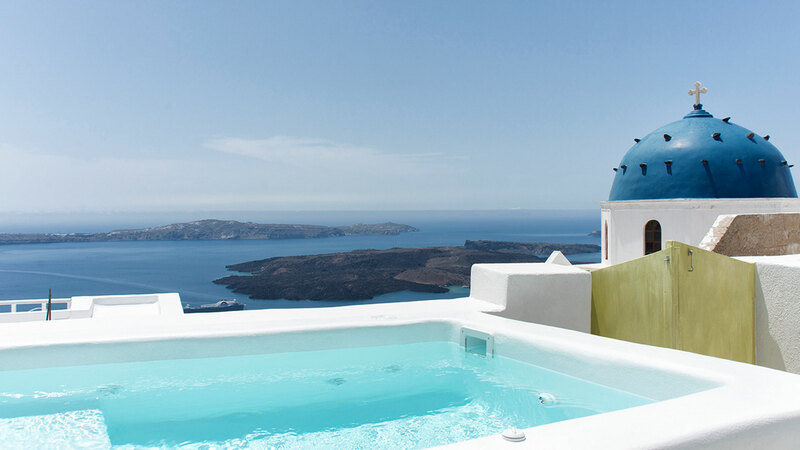 Our new private cave house outdoor Jacuzzi has a breathtaking view to the Caldera, the Volcano, the Aegean Sea and the villages of Imerovigli and Akrotiri. It is ideal for Honeymoon couples. 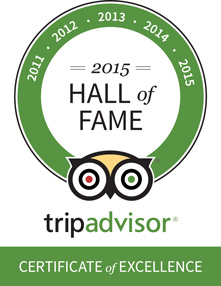 It was renovated in 2015 and decorated by our interior designers with elegance, relaxing colours and romantic details. 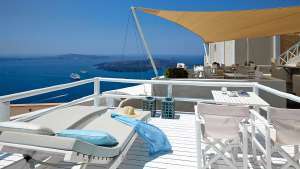 Planning a family trip in Santorini? Blue Dolphins can provide to your accommodation! Our family suites can hold up to 4 persons: these modern, renovated rooms include two bedrooms one or two bathrooms with shower & a private balcony. 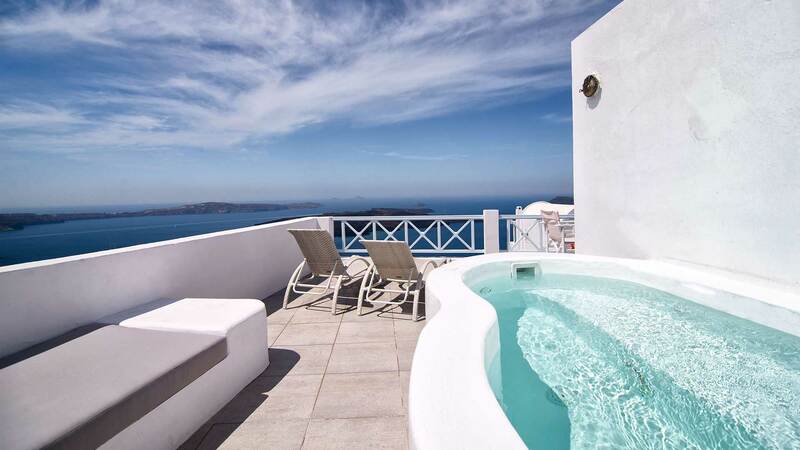 Find out our luxurious suites with outdoor Jacuzzi built on the private balcony and live your delightful honeymoon in Santorini! These elegantly decorated suites have gorgeous view on Caldera and include a bedroom with a double bed and a private bathroom.